With Weight Watchers simple but oh-so-smart points system, it’s possible to fit just about anything you can think of into your diet, with the focus being as much on the item itself as the portion and frequency with which you eat it. For those that have been using the Weight Watchers system for awhile, calculating points becomes second nature, as does knowing how many points their favorite foods are valued at. Something a friend of mine mentioned keeping tabs of as well is a snack list of what she calls ‘point fillers’. These are foods that only carry a value of 3 points or less – foods she can easily enjoy at the end of the day if she has saved a few points for such a purpose, or finds that she has a few to spare. And her list just happens to have quite a bit of candy on it, which excited me to say the least! I was thrilled to hear she’s still able to enjoy some sweet favorites without making too many concessions the rest of the day. As for the candy she eats most often? 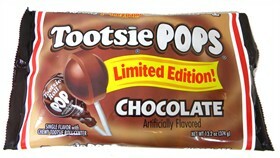 Chocolate Tootsie Pops. At just 60 calories a pop, and one point apiece, she can eat one just about every day of the week. Pretty sweet, huh? Inspired by my candy-loving friend, we will be sharing other candy ideas for all of you that are following the Weight Watchers plan as well. Keep an eye on the Blair Candy Twitter and Blair Candy Facebook for candy favorites and their respective point value. We’ll be keeping the focus on candies that would fit on my friend’s list of ‘point fillers’ – candies that won’t ‘eat up’ a lot of your points, but will satisfy your craving and make eating smarter all the sweeter! 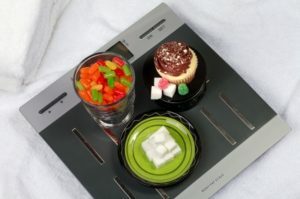 Whether we tried to lose a few pounds in a pinch for a special occasion, or we have struggled with losing weight for many years, at some point in time most of us have at least dabbled in dieting. Some of those diets are stranger than others, and some are downright dangerous. But luckily, others are created to be a long term, beneficial change in the way we eat; to not be a ‘diet’ in the sense of an event, but a change in our daily diet now and forever. Among the handful of those diet options that have been reliably, healthfully delivering the desired results for years is Weight Watchers. I have never been a member of Weight Watchers myself, but have several friends and family members that have been or currently are. And unlike the horror stories we’ve all heard about diets ranging from those where you can only eat one food, to those where you have to eliminate entire food groups, I have never heard one bad word about Weight Watchers. And given my friends’ and family members’ capability of crafting a sharp-tongued complaint when they want to, that’s saying something! While nobody loves the journey that is changing negative or less-than-ideal eating habits, the reason so many cite for their success on Weight Watchers is that it makes sense. Their rules don’t come from a place of punishment or denial – they’re smarter than that. The Weight Watchers team understands that if you are really, truly going to change the way you eat now, tomorrow, next year and the year after that, labeling foods as off-limits simply isn’t going to work. Who wants to sign up for a life with no pasta, bread, cake, candy or ice cream? Certainly not me! And with Weight Watchers, you don’t have to. Want to know why you don’t have to? Check back on the Blair Candy Blog next week for Part Two of this post!